I love the idea of getting another chance to get things right—and at this time of a fresh start in the new year, we all have an opportunity to ask ourselves what we appreciate most that happened in this last year—and what we had to do with that. This extra bit of taking a moment to note what we had to do with what we appreciate helps take the gratitude journal concept to a new level, as I mention in my book, Quantum Jumps, citing Martin Seligman's research demonstrating that even people suffering depression can elevate their moods simply by taking note each day of three things that went well in the past 24 hours that they had something to do with. There is a connection here of free will—and a reconnection with a sense of self being an active, positive agent in one's own life. And this is surely a good thing, as we may find one day we have become a greater force for good in the world in the process! One thing I'm grateful for this past year is helping bring attention to a number of noteworthy widely-noted reality shifts. I posted a blog post with a selection of some of the most noteworthy reality shifts this past year, also known as Mandela Effects, and a companion YouTube video as well. Another thing I'm thankful for is that I got to help coordinate and also present papers at two Foundations of Mind conferences this past year and participate in a rich community of scholars discussing quantum physics and consciousness. I'm especially grateful to be able to discuss reality shifts and Mandela Effects with more and more people, as this phenomena slowly and steadily grows in public awareness. I encourage you to keep asking my favorite question, “How good can it get?” as you contemplate what is about to go well for you in this new year. There is a good change that by genuinely focusing on this question, and truly wanting to know, you'll help bring something truly wonderful into being that didn't exist before. Did you know that I share new experiences, tips, stories, and inspirational ideas at Facebook, Twitter and YouTube? I look forward to seeing you there! 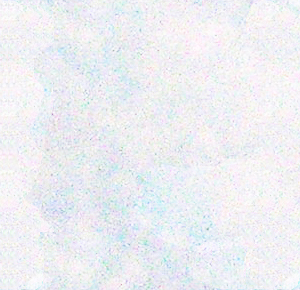 http://www.cafepress.com/realityshifters and at the Zazzle RealityShifters store! book cover artwork; you might just find the perfect thing! 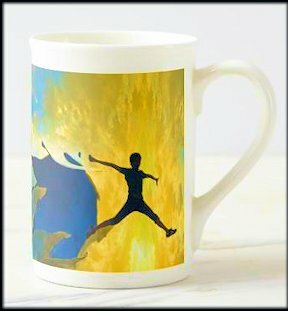 Feel inspired every time you drink from this Quantum Jumps cup. This fine porcelain cup is perfect for armchair physicists and go-getters alike. Feel the excitement of making a leap between parallel worlds of possibility! "Thank you so much, Cynthia! It is always such a joy to speak with you. One immediate outcome of this meditation is that there has been so much laughter in my office since! And in my life outside work, so much palpable love." 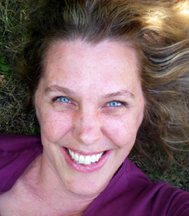 Sandra Champlain talks with Cynthia Sue Larson about first-hand experiences with communication from loved ones after they've died, and some simple things you can do to buoy your spirits when missing loved ones, or feeling down. 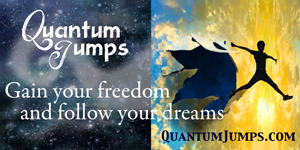 Exercises from “Quantum Jumps” are provided, and lots of wonderful first-hand experiences are shared. An international team of researchers has conducted an experiment that shows that the arrow of time is a relative concept, not an absolute one. In a paper uploaded to the arXiv server, the team describe their experiment and its outcome, and also explain why their findings do not violate the second law of thermodynamics. The second law of thermodynamics says that entropy, or disorder, tends to increase over time, which is why everything in the world around us appears to unfold forward in time. But it also explains why hot tea grows cold rather than hot. In this new effort, the researchers found an exception to this rule that works in a way that doesn't violate the rules of physics as they have been defined. The idea of entangled particles has been in the news a lot lately as researchers around the world attempt to use it for various purposes—but there is another lesser-known property of particles that is similar in nature, but slightly different. It is when particles become correlated, which means they become linked in ways that do not happen in the larger world. Like entanglement, correlated particles share information, though it is not as strong of a bond. In this new experiment, the researchers used this property to change the direction of the arrow of time. The experiment consisted of changing the temperature of the nuclei in two of the atoms that exist in a molecule of trichloromethane—hydrogen and carbon—such that it was higher for the hydrogen nucleus than for the carbon nucleus, and then watching which way the heat flowed. The group found that when the nuclei of the two atoms were uncorrelated, heat flowed as expected, from the hotter hydrogen nucleus to the colder carbon nucleus. But when the two were correlated, the opposite occurred—heat flowed backward relative to what is normally observed. The hot nucleus grew hotter while the cold nucleus grew colder. This observation did not violate the second law of thermodynamics, the group explains, because the second law assumes there are no correlations between particles. Over a year ago, I drove my sister's mother-in-law to the doctor's office up on Thirtieth Street in a medical office complex. This doctor's office is in the last suite on the east end of the complex: Urology. We went up to the door entrance and found that it was locked, and the suite was void of furniture and people--it was virtually empty. It turns out his office had moved to another suite in the complex. Well, today I had an appointment at his office, so I naturally went to the suite at the end. I was with a friend, and I said, “Oh, remember they moved their office to another suite.” My friend replied, “Yes.” So we went up to the door, and made our way to the suite on the east end where it had always been before. Well it was open was like they never moved. Yup; another parallel world. Note from Cynthia: Thanks so much for sharing this experience of visiting a doctor's office that moved--and moved back--as if it had never moved at all! While it's possible that an office might move down to another part of the complex for a while in order that repairs could be made, it doesn't sound like this is what happened--especially since you'd surely have then noticed that of course some remodelling had been done. But when everything is just the same as it used to be, despite having for a short time having been completely relocated to another wing--now that definitely does sound like a reality shift! About a month ago. I was looking for my keys to my vehicle. Than found them on the coffee table put them in my pocket was gathering things for the day my person that I take care of who's name is John saw me get them. We were about to leave. I reached in my pocket for my keys. Than I could not find them. I emptied both pockets. Than looked in the bathroom. The kitchen the living room. Nothing in my hands. John said you had them. As I decided to sit down a moment right in front of both of our very eyes. Appeared the keys in my left hand. We both were surprised me holding up the h lets to my vehicle. The Explorer. I said to John did you see that ! John said, yes ! Went on talking about it for some time. So theirs another reality shift. A blink as it were the teleportation effect. 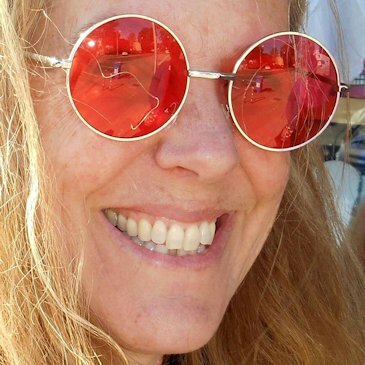 Note from Cynthia: Thanks so much for writing, and sharing this recent experience with your keys. How absolutely amazing for both you and John to witness your keys appear in your left hand, and how astonishing that John saw this occur, too! I've had a similar experience with witnesses observing things appear 'out of thin air' as it were, so I know how surprising and mind-opening such an experience can be! I listen to NPR in the car often and they frequently have commentary by people from The Brookings Institution. For some reason, I thought it was called The Brookings Institute. Is it just me or, does anyone else recall it that way? Note from Cynthia:Here's a great reality shift / Mandela Effect for frequent listeners of NPR, and I'd love to hear from people who also recall advertisements for "The Brookings Institute" that apparently is no more—or has now 'always been known as' "The Brookings Institution." I've just checked articles in the New York Times going back over the past 100 years of the Brooking's existence, and found that orignially it was called the Brookings Institute, but between 1935 and 1939 it switched over to Brookings Institution. The "Brookings Institution" just sounds wrong to me; I don't remember it this new-yet-has-supposedly-always-been-this way. Then there is this gorgeous Concerto when he was only 14 (this is the third movement): It outmatches anything Mozart wrote by that age. Note from Cynthia:Thank you so very much for sharing your experience noticing ever-earlier compositions by Beethoven--despite your having been following the works of Beethoven for many years, and despite having previously known Beethoven to be a "late bloomer" with regard to mostly having done his best work in his 20s. But not anymore, apparently--history has changed! And now that you mention all this, I am feeling a sense of wonder and astonishment that this change has occurred, and there are more and more of Beethoven's work from younger years showing up all the time. And I take it they are appearing as if they've "always been there." How marvelous! Do you know how old Beethoven currently was when writing these early masterworks? When it comes to changing something packed with emotional charge and energy, best results come for those who are somehow willing and able to get to a state of detached, energized bliss. This is therefore not a series of steps that anyone can follow and attain success, but rather has more in common with learning a martial art that requires attention to mental, physical, and energetic/spiritual factors over a course of many years. Having said all that, some people are at a point where they can readily attain this necessary state of detached, energized bliss. You might think of it as being in an emotional state of acceptance, and love, and willingness to trust that all is unfolding exactly as it should. Most people grieving loss from past events do not feel such bliss, and thus are not in the necessary place to experience the kind of shifts that people undergoing Near-Death Experiences (NDEs) often report where they do feel detached and energized, and realize they can come back to their body that might have been dying before, and now they’re fine. You can read Anita Moorjani’s book, “Dying to Be Me” to get an idea of how that feels like, and for best success changing any past events, this is the requisite state of mind and being to be in. This is a kind of extraordinary human experience–like a samadhi, like a spiritual awakening. Practices you can do to get into that state of mind are outlined in Diane Brandon’s new book, “Born Aware,” and I also highly recommend the book “Untethered Soul” by Michael Singer to get into this kind of detached, energized state of being where you will most likely witness historical facts changing much more often. My books, "Reality Shifts" and "Quantum Jumps" also outline methods to witness changes in past events that manifest in real life, right here and now. Your book isn't available in any branch of Toronto public library. Made any reality shifts lately? Happy holidays! Happy holidays to you and yours! Many libraries are willing to order books when people ask for them, so I recommend putting in an official request for "Quantum Jumps" to be acquired for the Toronto public library. I've been noticing many low-key daily reality shifts--mostly synchronicities--recently. I know you wrote a book about parallel universe! I wish I had the money to buy your book! so, is it possible that we could jump to one universe to another? Thanks for letting me know you have a copy of my book, "Quantum Jumps." Yes, this book works perfectly well when you entirely skip reading the sections on quantum physics and simply do the exercises. Do you think that anything like this could possibly happen to me? Yes, there absolutely is a danger in wishing for things, since it's possible to sometimes get what you asked for, that ends up feeling wrong. Which is why if you watch my YouTube videos and listen to my podcasts and radio shows and read my newsletters and blog posts you'll see I always end everything by strongly encouraging you to always ask, "How good can it get?"! Your subconscious knows what good is for you, and such a simple daily mantra / question can help keep you on track, rather than running off the parallel universe rails into some kind of miserable "technically right, yet emotionally wrong" universe. And yes, I know such places really do exist. So there's no worry about reading my books and following my practices, which absolutely always include wishing for the best for all--rather than short-sighted (problematic) schemes. And you may notice that in this respect, my approach is more of a spiritual path for transformation than just a get-rich-quick or get-love-quick scheme. Have you ever wished life came with an instruction manual? Roser Segarra's book, Living On Earth, is a wonderful primer--or user's manual--for living a human life on Earth. Segarra covers all aspects of Mind-Body-Spirit in an encyclopedic summary that hits all the main areas of questions you might have. While at first glance this book might seem to over-reach, it's ambitious goal to to answer all the biggest questions related to how we can live our best possible lives does a remarkably good job of hitting all the right notes. Living on Earth excels at providing a streamlined kind of Cliff's Notes to Life for anyone curious about how to better understand such topics as: reincarnation, soul evolution, karma, purpose, energy fields, mind-body connection, relationships, and alternative and complementary health care. The book is organized into three sections, starting with the field of consciousness, moving through living your life on Earth, and wrapping up with living your most healthy life. I took it to be a good sign that much of the recommended reading and source material in Living on Earth was well aligned with sources I've referenced in my books, such as Reality Shifts: When Consciousness Changes the Physical World,Aura Advantage: How the Colors in Your Aura Can Help You Attain Your Desires and Attract Success, and Quantum Jumps: An Extraordinary Science of Happiness and Prosperity. Over 8,900 RealityShifters Subscribers live in 84 different countries around the world -- with the majority in the United States of America, Canada, the United Kingdom, Australia, Africa, New Zealand, India, the Netherlands, Malaysia, Mexico, Italy, Sweden, Germany, Brazil, Belgium, Singapore, South Africa, the Philippines, Japan, Norway, Ireland, Denmark, Spain, Israel, and Panama.